Public Transport Ballooning in the UK is a very safe form of flight because commercial balloon flights are regulated under the same standards of policing by the Civil Aviation Authority (CAA) as commercial aeroplane flights. This means that all rules, safety, insurance, CAA auditing and licensing are viewed in the same manner as with commercial aeroplane flights, so you will be in just as expert hands as you would be on a long haul flight. Aerosaurus Balloons are licensed and regulated by the Civil Aviation Authority under the Air Operators certificate number BL209. Here at Aerosaurus, we have over 25 years of experience ballooning in Devon, Cornwall, Somerset, Dorset and Wiltshire. All of our expert pilots has been awarded the highest level of aviation qualifications and holds official commercial pilots’ licenses, so you can rest assured you are in safe hands from rigging to landing. Not only this, but Aerosaurus Balloons are actually the founding members of the British Association of Balloon Operators. Our work in founding and running this association aims to consistently improve the safety passengers experience in the UK ballooning industry. Our very own Operations Manager was the Association’s Chairman for many years, and has personally worked in close connection with the Civil Aviation Authority itself to develop safety within the ballooning public transport section, making significant progressions over this time. Aerosaurus Balloons operate, with permitted changers, within the Terms and Conditions as established by the Office of Fair Trading regarding Public Transport within the Hot Air Ballooning Industry. Therefore, you know that all of our practices comply with industry standard. These days, balloon incidents in the UK are very, very, rare. Even if a hot air balloon was to descend for technical reasons, the nature of the vessel being a large balloon acts as a parachute assisting landing. However, the likelihood of this situation ever occurring is minimised by CAA regulated scheduled checks that the vessel is in working order and training updates with pilots. Before taking off on flights, our pilots thoroughly research weather conditions to receive accurate weather reports from the MET office. 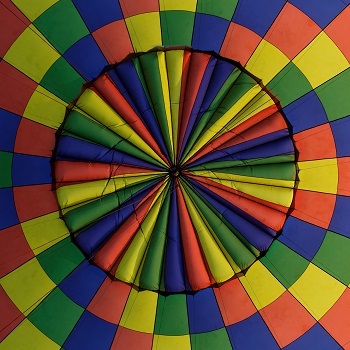 Doing this ensures that information regarding air temperature, wind speeds at levels from surface up to the maximum anticipated flight altitude, air stability, precipitation, cloud base and visibility comply with safety standards to make for an entirely risk-free and pleasurable balloon flight. In addition assessments are made regarding the suitability of ground conditions, as most flights take off from and land on agricultural land. With our extensive experience as a leading UK ballooning operator, Aerosaurus is proud to have the highest quality of skills and knowledge to make sure that your balloon flight is safe, enjoyable and creates happy memories you can savour until your next balloon ride. If you would like any further information, please feel free to contact us today.